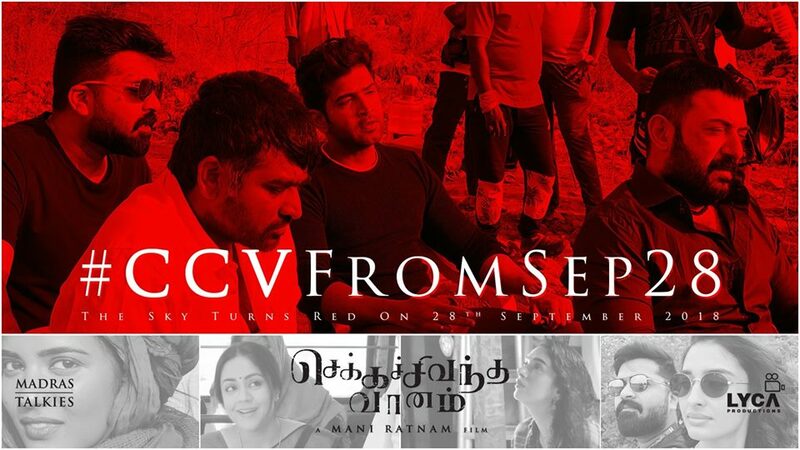 Shooting of Mani Ratnam’s Chekka Chivantha Vaanam was completed recently. This was followed by the artists completing the dubbing for their respective characters. Now the makers have announced that the movie will be released on 28 September. 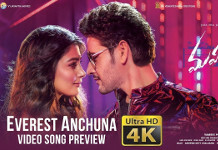 The multi-starrer movie has a huge star cast including Vijay Sethupathi, Simbu, Arvind Swami, Jyothikaa, Arun Vijay, Aishwarya Rajesh, Dayana Erappa, Aditi Rao Hydari, Prakash Raj. Last schedule of the movie was shot in Serbia. Arvind Swamy and Jyothika will be playing husband and wife in the movie. Sources close to the movie said that Jyothika acts as a feminist in the film, which has music by Oscar-Grammy winner A R Rahman. Cinematography by Santosh Sivan, Edited by A Sreekar Prasad, Produced by Mani Ratnam – Subaskaran under Madras Talkies & Lyca Productions.